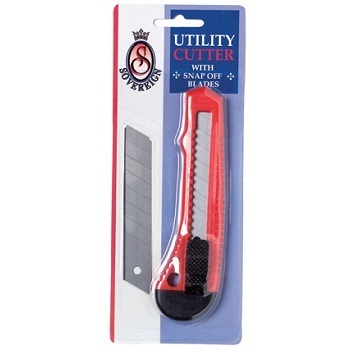 Light duty, small utility knife cutter with snap off blades. General purpose small blade utility knife cutter for office, craft or home. Features snap off blade and safety lock system to prevent blade from slipping. Light duty, large utility knife cutter with snap off blades. General purpose large blade utility knife cutter for office, craft or home. Multi-use universal retractable utility knife for office and warehouse. Die-cast metal contoured body with heavy duty texture for long life and good grip. Blade storage integrated in handle. 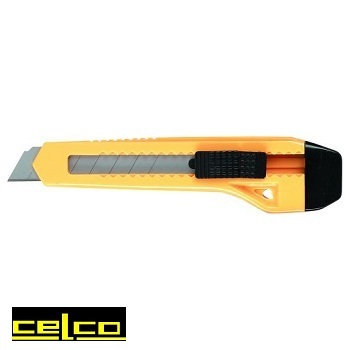 Quality, heavy duty, large auto-load snap blade cutter knife. Includes autolock function to secure blade while cutting. Metal blade runner to ensure safe usage. Grooved plastic body for grip to ensure comfortable use. Knife complete with 2 extra spare blades. Quality, economically priced, heavy duty, large snap blade cutter knife. Manual locking system to secure blade while cutting. Snap off blades for renewable cutting edge. 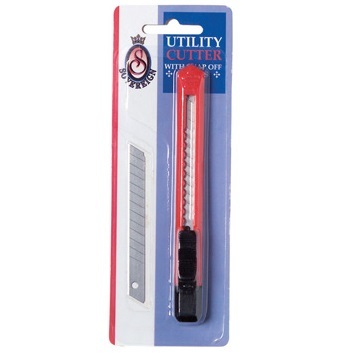 Universal replacement blade refills to suit most brands of cutters. Durable, superior blade toughness with ideal balance. Pack of 5 blade refills. Refill blades for universal retractable utility knife. 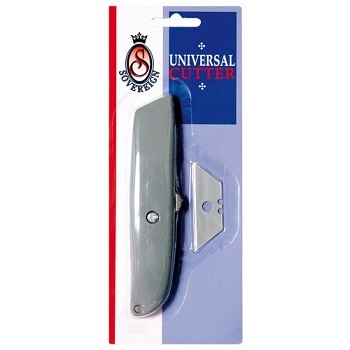 Suitable for general purpose cutting. Fits Sovereign 66211 and most standard utility knives. 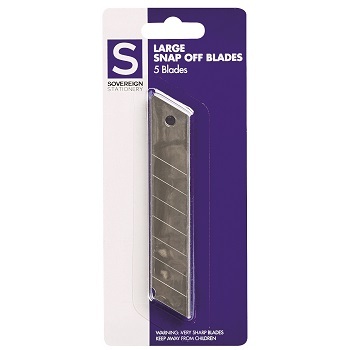 Large replacement snap lock blades for Celco knives and cutters. 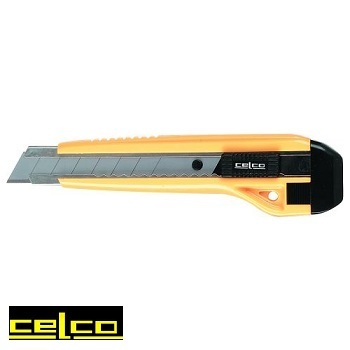 Suitable for Celco knives 5421, 5423, 5426, 5430 and 5431. 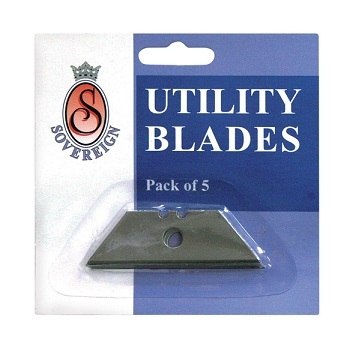 Pack of 10 additional refill blades.